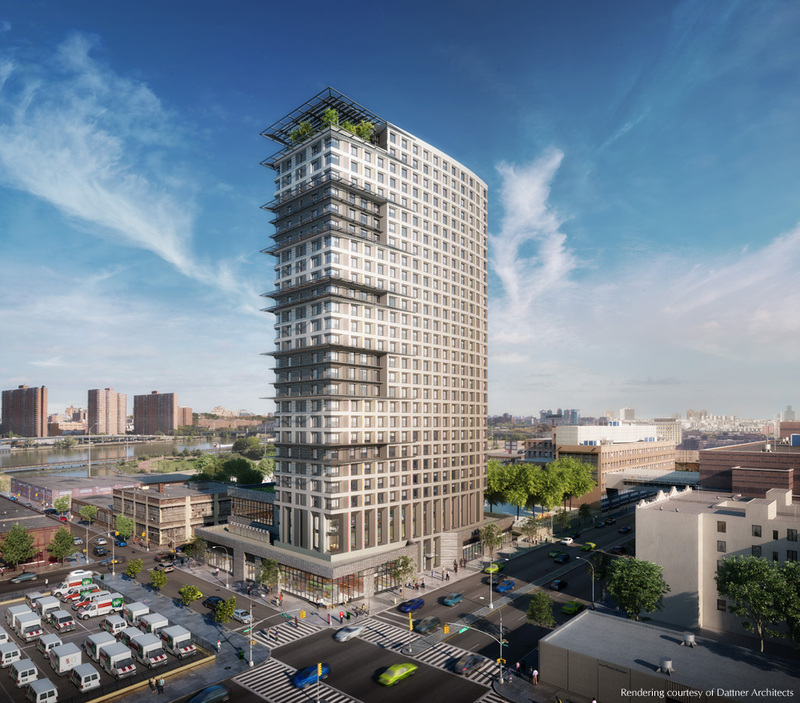 This new 28-story mixed-use development will be the largest passive house project in the United States. The building will meet The Passive House Standard and will consume less than 30% of the energy of a traditional housing development. The project will create 241 affordable housing units throughout the tower, while the base of the building will be occupied by a medical clinic and community spaces. Its construction is reinforced concrete flat slab and the building is founded on rock.